I don’t think this is going to pass, but it will get a vote. Houston Mayor Sylvester Turner on Wednesday said he would put a proposed garbage fee on next week’s city council agenda, but will not vote for it. Turner agreed to put the idea promoted by Councilman Dwight Boykins as a way to to offset the cost of firefighter raises mandated by Proposition B to a council vote, even as he called it “regressive” and said it would hurt low-income Houstonians. “I will put it on the council agenda next week to let council members have their say, but I will not vote to impose this fee on the people of Houston,” he said on Twitter. Boykins’ original proposal largely fell flat among his council colleagues, some of whom said the fees were far too high. Boykins since has floated lower rates, and said Wednesday that he would call for fees between $19 and $27 a month when council votes. “My proposal is an alternative that secures public safety while saving the jobs of up to 500 firefighters, 200 police officers and up to 300 city employees,” Boykins said. “It’s an opportunity for city leaders to lead, and I hope my colleagues will join me in supporting this measure. See here for the background. As you know, I support the concept of a garbage fee for the purpose of improving and expanding our existing solid waste services. I don’t support it for other purposes, such as using it to pay for firefighter raises. Fees are generally exempt from the revenue cap stricture – Mayor Parker raised a bunch of fees as part of her budget-balancing in 2010-2011, with some language at the time about what it cost to provide various services and how the fees for one service should not be subsidizing the cost of another. That said, I would wonder if something like this, which is both a big increase in what most people pay each year plus an obvious ploy to raise money to pay for something else, would run into a lawsuit challenging its validity under the revenue cap. Surely someone will seize on the opportunity to cause trouble. Be that as it may, the first question is who will vote for this. My gut says Boykins will have some support, but probably not a majority. But who knows? We’ll find out next week. If the Mayor is opposed [to the garbage fee proposal], why put it on the agenda? For one thing, so the firefighters will not be able to claim later on that Turner never even put a valid proposal to pay for Prop B up for a vote. The ads write themselves – “He never even gave it a fair chance!” They can still claim he opposed it, of course, but if Council votes it down by (say) a 12-5 margin, that takes some of the bite out of it. Also, too, by letting the vote go on there will necessarily be a discussion about how much the fee would be, which might make people think a bit differently about Prop B. It’s not like the firefighters ever put a price tag on it, after all. If people realize that paying for Prop B will cost them personally $200 to $300 a year – down from $300 to $500 as in the original proposal from Boykins – they might see the Mayor’s point more closely. Finally, if Turner is wrong and the proposal passes, he no longer has to lay anyone off and he can let individual Council members explain their vote. I think letting the garbage fee be voted on makes more sense from Turner’s perspective than refusing to put it on the agenda would have. Mayor Sylvester Turner plans to lay off up to 400 firefighters as he prepares to award pay raises required by Proposition B, the voter-approved charter amendment that grants firefighters the same pay as police of corresponding rank, according to five Houston City Council members who were briefed on the plan Thursday. The apparent move to fully implement the pay parity measure comes after talks between the city and fire union about phasing in the raises over five or more years became strained last week. Meanwhile, city officials are preparing council members for the difficult task of closing a $197 million deficit in the annual budget that must be adopted for the upcoming July 1 fiscal year. About $80 million of that budget gap comes from the firefighters’ raises, council members were told. In addition to the firefighter layoffs, Turner will seek to close the deficit by asking all city departments to cut their budgets by at least 3 percent, a move that is likely to require layoffs of, perhaps, 100 municipal workers, the council members said. Councilwoman Brenda Stardig said she was told no police officers will be laid off. On May 9, Turner’s administration plans to issue back pay to firefighters retroactive to Jan. 1, which will total about $30 million, multiple council members said. The fire cadets filed grievances against Turner Thursday alleging that the mayor was discriminating and retaliating against them. Turner, who repeatedly has warned of potential layoffs, told reporters his hands were tied because the charter amendment did not come with a funding mechanism. He also said the fire union rejected a city proposal to phase in pay raises. That offer did not appear to fully implement the charter amendment over the city’s proposed five-year window, falling short of increases in incentive pay that the finance department projects would be necessary to reach full parity. During negotiations, the firefighters proposed to phase in Prop. B raises over three years, retroactive to July 1, 2018. The raises then would be distributed based on firefighters’ length of service, with all members reaching full parity by July 1, 2020. No one can say they didn’t see this coming. One of the main arguments against Prop B was the cost, which would inevitably lead to layoffs because the vast majority of the city’s expenditures are personnel costs. It seems a little crazy that there wasn’t a way to agree to a phase in to avoid any drastic actions, but here we are. Note that the city has very limited capacity to raise revenues thanks to the stupid and harmful revenue cap, and the city is not allowed to run a deficit. That severely restricts options, and that’s the place we are in now. We’ve been through this before, back in 2010 when then-Mayor Parker faced a huge deficit caused by the downturn in the economy. She wound up laying off hundred of municipal employees. Police and firefighters were exempted from that, but this time it’s the firefighter pay parity referendum that is driving a big part of the deficit. Where should the cuts come from this time? You tell me. One uncertainty appeared to stem from differences in educational requirements between the departments. For example, police officers must have a master’s degree to be promoted to assistant police chief, a stipulation that does not exist for assistant fire chiefs and fire marshals. Some firefighters may receive reduced raises due to the differing requirements, multiple council members said, explaining why the latest cost estimate of $80 million falls more than $30 million below Turner’s previous estimate. There is speculation this will lead to a lawsuit. I’ve expected that from the beginning. And I fully expect it will still be litigated the next time the Mayor is on the ballot in 2023. Mayor Sylvester Turner made it official Wednesday, launching his re-election campaign for Houston’s top elected office. Turner announced the news in a 96-second video that appeared on a revamped campaign website, where the mayor also posted notice of a formal kickoff event March 30 at Minute Maid Park. Election Day is Nov. 5. Though observers say Turner is the odds-on favorite to win, several politically challenging issues have emerged that could hinder his re-election chances. Early opponents Bill King, a businessman who narrowly lost to Turner in 2015, and Tony Buzbee, a millionaire attorney, have each taken aim at the mayor over his long-running wage dispute with firefighters. They also have criticized Turner for the city’s recent problems with trash pickup, and levied charges that political donors hold too much sway over City Hall, a notion the mayor denies. Recently, Turner lost the support of Houston’s largest teachers’ union over the firefighter compensation issue, which now revolves around the city’s slow implementation of Proposition B, a voter-approved charter amendment that grants firefighters the same pay as police officers of corresponding status. Still, Turner heads into re-election with a multi-million-dollar war chest, according to a January campaign finance report, and a tangible record that he can cite on the campaign trail. That includes a landmark overhaul of Houston’s pension systems, a topic Turner highlighted in his announcement video. I support Mayor Turner and will vote for him. I’ll stipulate that his first two years, when he pushed pension reform through the Lege, were a lot better than the year-plus since then. The passage of Prop B has done him no favors, but that’s the hand he’s been dealt and he needs to bring it to a resolution. That has also not been the only issue, so to whatever extent one wants to blame Prop B for the rocky road he’s been on, he’d still be bumping around without it. He’s lucky that Tony Buzbee is a joke, and Bill King has nothing to run on now that pension reform has been passed, but that only gets him so far. Sylvester Turner is a smart man, a sharp politician, and a Mayor who has shown he can get things done. He can get himself back on track, and he needs to get going on that. People aren’t really paying attention now, but they are forming impressions. He needs to give them some more good ones. 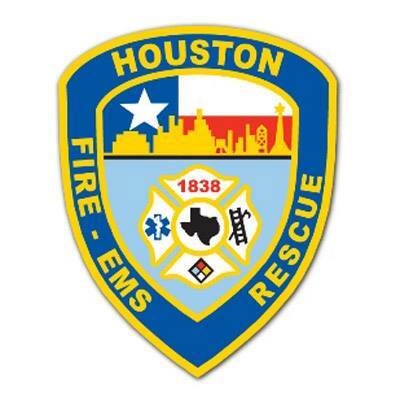 Houston officials have offered to raise firefighters’ base salaries, but not sufficiently to establish pay parity with police officers as approved by voters, city and firefighter union officials said Wednesday. The proposal nonetheless marks the first evident progress made since Mayor Sylvester Turner met last month with Blakeney and Houston Professional Fire Fighters Association President Marty Lancton to discuss Proposition B, which compels the city to pay firefighters the same as police of equal rank and seniority. City Attorney Ron Lewis confirmed the city had made an offer, but neither he nor Blakeney disclosed the amount. Still, it was clear Wednesday that Turner and Lancton remain far from an agreement to phase in the raises over time. Both say they support that idea, with Turner arguing the city cannot afford to instantly implement Proposition B.
Lancton told reporters Wednesday that the city’s legal efforts to invalidate the proposition, based on the argument that it is unconstitutional, are hampering negotiations. Turner has said the firefighters’ decision Jan. 15 to seek a court order compelling the city to implement the proposition has similarly soured negotiations. Lancton has said the city should already be paying firefighters because the proposition became law nearly three months ago, which is why the union sought the court order. See here for some background. At this point, I don’t have anything new to say. I don’t know how this ends and I don’t know how long it will take to get there. If we’re still fighting about this in the next city elections in 2023, I won’t be surprised. Lawyers for Houston Mayor Sylvester Turner filed a motion Friday afternoon seeking to declare Proposition B invalid, contending the voter-approved referendum supporting pay parity for firefighters violates Texas law. The move is the latest in an extended legal battle between the city and firefighters over the November ballot measure requiring the city to pay firefighters the same as police of equal rank and seniority. The city’s motion claims that Proposition B is illegal under the Texas Local Government Code and the Texas Constitution, an allegation the city previously made in December. The filing is notable, though, because Turner has said he hopes to negotiate a plan with the fire union to phase in pay parity over a number of years, arguing the city cannot find the funds to do so immediately. His efforts to again invalidate the charter amendment altogether appear to cast doubt on whether both sides can ultimately reach an agreement. Though Turner has said “those conversations are taking place,” neither side has indicated they have made any tangible progress since [firefighters union president Marty] Lancton and Turner met publicly in January. The day before that meeting, the union sought a court order aiming to force the city to enact parity, a move Turner questioned at the time. Lancton, skeptical of Turner’s sincerity in offering the meeting, said the city’s inaction had forced the union’s hand, while Turner said the union should not have gone to the courthouse on the eve of the meeting. Here’s the Mayor’s press release, which you can take however you want. I’m mostly noting this for the record, because as far as I can tell there’s no legal impediment at this time to proceeding with Prop B, a subject that I’m sure will continue to arise. The one thing I find surprising is that so far no individual voters have filed a lawsuit over the wording of the ballot referendum. It seems like every other one we’ve had in recent memory has faced litigation over that, some more credible than others, so it’s a little odd to me that this referendum hasn’t had that same experience. Just a though. The Houston Professional Fire Fighters Association sought a court order Tuesday aiming to force the city to pay firefighters the same as police officers of corresponding rank and seniority, one day before Mayor Sylvester Turner and the union are set to discuss ideas for implementing pay raises. The move comes more than two months after voters approved Proposition B, a November ballot measure granting pay parity to Houston firefighters, which would amount to a massive raise that Turner says the city cannot afford. Since the election, firefighters have yet to see their paychecks grow fatter, a delay that has frustrated the union and sown confusion among city workers who face the threat of layoffs. In response, Turner questioned why the firefighters would ask him to meet, then take court action on the eve of the meeting. Since the election, Lancton has asked the mayor to negotiate a contract that would phase in pay parity instead of implementing it in one fell swoop. Until recently, Turner resisted the union’s calls, citing ongoing litigation while at times contending he could not negotiate what voters had already decided. On Jan. 9, however, Turner invited firefighters to discuss ideas to implement Proposition B, though the mayor’s letter to Lancton did not say whether he is open to negotiating pay raises through contract talks. I don’t know what the way forward is. I feel like we’re here now because the firefighters are mad about the pension reform law that got passed. Which confounds me to this day, because were they not listening to what Turner and others were saying on the campaign trail? Did they think they were going to somehow be magically exempt? Anyway, I agree that there should be a date set for when this will be implemented, and a plan that outlines what that will mean. No one knows what it means because that was never part of the marketing for Prop B, but it has to mean something, so let’s get to it. And when the firefighters don’t like what it means, well, the courts will still be there. Mayor Sylvester Turner said Wednesday his administration is moving forward to implement the voter-approved charter amendment granting Houston firefighters equal pay to police of corresponding rank and seniority, though the city has not yet determined when firefighters will begin receiving increased paychecks or how the charter amendment will impact individual city departments. Turner’s administration plans to lay off hundreds of city employees, including firefighters and police officers, to cover the cost of paying firefighters on par with police officers, a move city officials say will amount to a 29 percent raise costing the city upwards of $100 million annually. The mayor said he did not know when the city would begin layoffs, but indicated to reporters Wednesday that it likely would take several months to put Proposition B into effect. Asked why the city is only now beginning to put Proposition B into effect, Turner said his administration did not take action while the temporary restraining order was in place from Nov. 30 until Tuesday. Proposition B passed Nov. 6 with 59 percent of the vote. The mayor previously has said the city could not phase in Proposition B, and since has accused firefighters of attempting to confuse the issue by calling for negotiations while the lawsuits play out in the courts. See here for the background. I don’t know what else there is to say at this point. It’s not clear what happens from here, but I’m pretty sure no one is going to like it. Back to the planning stage. A state district judge on Tuesday dissolved a temporary restraining order blocking implementation of the voter-approved charter amendment granting pay parity to Houston firefighters and denied further attempts by the city and police union to delay the measure. State District Judge Randy Wilson, ruling in favor of the Houston Professional Fire Fighters Association, decided that voters were informed of the amendment’s price tag — more than $100 million a year — before the election and approved it anyway. The measure, appearing on the November ballot as Proposition B, passed with 59 percent of the vote. “While this Court is sensitive to the budget difficulties the Pay-Parity Amendment will produce, the Houston voters decided they would rather have pay parity,” Wilson wrote. The latest ruling comes more than two weeks after the HPOU sued the fire union and city over the parity measure, contending the amendment, which would tie firefighter pay to that of police of corresponding rank and experience, is unconstitutional because it conflicts with a provision of state law requiring firefighters to receive comparable pay to that of private sector employees. Wilson, ruling that the amendment does not conflict with state law, indicated the city had contradicted its argument in a separate case by claiming that no private sector jobs are comparable to those of firefighters. The lawsuit has been underway since Nov. 30, when the police union filed the suit against the fire union and the city, and [Judge Kristen] Hawkins granted a temporary restraining order. The city later filed a cross-claim against the fire union, a remedy available to defendants seeking to take legal action against a co-defendant. In its claim, the city argued that the charter amendment “directly conflicts with the collective bargaining process and guidelines for firefighter compensation” laid out in the Texas Local Government Code, and therefore is invalid. Ultimately, the police union and city sought an injuction and stay on the parity amendment. As the lawsuit has played out, the separate case referenced by Wilson — filed by the fire union against the city after contract talks stalled last year — has reached Texas’ 14th Court of Appeals. See here for the background, and here for the Mayor’s statement. Neither the HPOU nor the city plans to appeal at this time, so as things stand the city will need to figure out how to move forward with Prop B while the litigation plays out, as was the case with Renew Houston. It’s not going to get any more cordial from here, that much I know. Trash fee to pay for Prop B? Houston City Councilman Dwight Boykins on Thursday proposed charging property owners a monthly garbage collection fee to finance raises for firefighters while avoiding job cuts for other city staff. Under the proposal, most Houston homeowners would be charged a flat, monthly fee between $25 and $40 to help the city absorb the cost of raises for firefighters mandated by the pay parity charter amendment approved by voters last month. Unveiled at a Thursday press conference, Boykins’ proposal comes amid a legal challenge by the city over the constitutionality of Proposition B, the charter amendment granting firefighters equal pay to police officers of corresponding rank and experience. The amendment was approved last month by 59 percent of voters. Look, I support the concept of a trash fee. I just want that fee to apply to the function of collecting and managing the city’s waste. More curbside recycling, including plastic bags, curbside compost collection – there are lots of things that other cities that have trash fees do with them. Propose this as part of a zero waste plan, I’ll shill for it all day long. This is not a good use for a trash fee. Nice try, but no. Tony Buzbee, a Houston lawyer who recently announced his plan to run for mayor next year, has offered to “mediate” a long-running pay dispute between the city and firefighters, one week after a judge blocked implementation of a voter-approved charter amendment that would grant firefighters equal pay to police officers of corresponding status. A spokesman for Mayor Sylvester Turner declined comment, referring to the mayor’s previous comments that a judge should first decide whether a collective bargaining agreement can supersede a voter-approved charter amendment. 2. Whether or not the city has any ability to negotiate the terms of the pay parity referendum is an open question right now. (So is the pay parity referendum itself, but let’s set that aside right now.) Asking the city to come to the table and negotiate the terms of the pay parity referendum is basically equivalent to telling the city to agree that the firefighters are right about the big picture and to abandon its current course. Which the city may eventually wind up doing, depending on what the lawyers and the courts say, but now is not the time for that. 3. Even if we were to accept the premise of point #2, maybe find a mediator who’s more, you know, impartial? Like, maybe someone who hasn’t announced their candidacy against Mayor Turner? It’s a big city. We have lots of certified mediators. I’m sure someone else might have time in their schedule for this. Oh, right, I said three things, not four. Better call in Tony Buzbee to mediate the difference between what I said and what I did. We’ve previously discussed non-partisan initiatives at the end of the ballot and how often people have undervoted in them in the past. Now let’s take a closer look at the two ballot items from this year. Remember that these are city of Houston elections, so only people in the city voted on them. The missing State Rep districts are the ones that are mostly not in Houston, and for the most part had only a handful of votes in them. Again, Prop A was the Renew Houston cleanup measure, which had little to no campaign activity around it, while Prop B was the firefighter pay parity proposal and was higher profile, though not that high profile given the intense interest in and barrage of ads for other races. Here for the first time you might entertain the idea that there’s some merit to the claim that Democratic voters might be more inclined to drop off before they get to the bottom of the ballot than Republican voters. Only HDs 139, 147, and 148 are on the lower end of the undervote spectrum. It’s suggestive, but far from conclusive. Remember, these are non-partisan ballot initiatives, not races between candidates who are clearly identified with political parties. We’ll examine that data in another post. This is also only one year’s worth of data. I may go back and take a closer look at the 2010 Renew Houston and red light camera referenda, but I don’t know how directly comparable they are – there was more attention paid to those two issues, and the political environment was very different. (I am amused to note that the Chron editorial board was blaming straight ticket voting for the demise of red light cameras, because of course straight ticket voting is history’s greatest monster, or something like that.) I’m going to take a closer look at undervoting in judicial races in another post. For now, if one wanted to make a principled and data-driven case that Republicans are more likely to vote all the way down the ballot than Democrats, you might cite the city referenda from this year. It’s one piece of data, but at least it’s something. As you’ll soon see, however, you’re going to need more than this. Courthouse officials were scrambling to find a judge Friday afternoon to hear a lawsuit by the Houston Police Officers Union against the city of Houston and the Houston Professional Fire Fighters Association, that seeks an immediate halt to implementation of a voter-approved ballot initiative that would give Houston firefighters “pay parity” to police officers of similar status. The lawsuit, filed midday Friday in the 234th state district civil court, seeks to block “Proposition B,” arguing it amounts to an unconstitutional amendment to Houston’s charter, and was void from the start. After hearing initial argument by the police union lawyer to put on the brakes, State District Judge Wesley Ward indicated to lawyers he planned to recuse himself and needed to find another judge in the building who could take over. Ward, a Republican who was voted out last month on the same ballot with Proposition B, reportedly told attorneys in chambers he had a conflict of interest because he planned to join a law firm where one of the attorneys on the case works. The measure “undermines and interferes with HPOU’s right to collectively bargain, because both HPOU and the City are forced to consider the economic effect of a third-party’s interjecting interests,” according to the lawsuit. The plaintiff’s attorneys also argued that the requirements of Prop B put the HPOU in the position of representing firefighters who had not chosen the union to represent them and who do not have the same responsibilities as police. The suit also argues that Prop B runs contrary to local government code mandates that say police and fire departments are “separate collective bargaining units unless they voluntarily join together” for collective bargaining with a public employer. Well, I don’t know what the city’s lawyers will tell them, but clearly HPOU’s attorneys are not hesitating. The ordinance that Council passed to accommodate Prop B is set to take effect on January 1, so I presume the cops are seeking to get a judge to put it on hold pending the litigation. That’s usually the way these things work. We’ll see now if the city joins this lawsuit or files their own; I presume the latter, though most likely in the end the two will be combined. December is already shaping up to be quite the month. A state district judge Friday evening granted a temporary restraining order blocking the implementation of a voter-approved charter amendment requiring the city of Houston to grant its firefighters “pay parity” with police officers of similar rank and experience. State District Judge Kristen Brauchle Hawkins granted the TRO Friday night at the request of the Houston Police Officers Union, which filed a lawsuit earlier in the day against the city and the Houston Professional Fire Fighters Association. The judge set a hearing for Dec. 14. The fire union opposed the TRO request, but lawyers for the city did not. Mayor Sylvester Turner will ask Houston city council Wednesday to hire a law firm to advise the city on possible litigation related to the firefighter pay parity measure, setting in motion a potential court challenge to the item approved by voters earlier this month. While the firefighters union has urged the city to return to the negotiating table, Turner has questioned whether the city could preempt the ballot measure approved by voters, suggesting a judge should settle the question first. Firefighters and labor attorneys contend the mayor does not need to seek a judge’s opinion, saying Texas’ collective bargaining laws preempt the city charter. The city still has not sought a legal opinion on the matter. The mayor, who instructed each city department in September to submit plans for reducing their respective budgets by 3.4 to 5.2 percent, has remained tight-lipped about how he plans to make the cuts he has warned are needed to square the city’s budget. The Chronicle submitted a public information request seeking copies of the departments’ budget-cutting memos, but the city has sought an opinion from the Texas Attorney General on whether the documents can be exempted from disclosure. We knew this was coming. I’ve been expecting there to be litigation over this from the beginning, regardless of who won. Now we get to see what form this takes. Houston city council on Wednesday approved Mayor Sylvester Turner’s request to hire an outside law firm to provide the city with legal advice related to the firefighter pay parity measure approved by voters earlier this month, but not before cutting the contract’s potential cost in half. Following a testy discussion that lasted nearly 80 minutes, council gave the green light on a 9-7 vote for a contract worth up to $500,000 with Norton Rose Fulbright, a global firm with ties to the political action committee that backed the campaign to oppose Proposition B. The ballot item, approved by voters on Nov. 6, grants Houston firefighters equal pay to police officers of corresponding status. The firm is likely to help Turner’s administration address what has become a core question in the post-election debate over Prop B: whether state law in the form of a collective bargaining contract preempts the city charter. Council on Wednesday also adopted the pay parity item as a charter amendment, a procedural formality. Turner told reporters after the meeting that he would have legally challenged Proposition B before the election, but found legal precedent that said such a move had to wait until voters approved the measure. 1. The lawyers tell the city that Prop B does not conflict with the state law on collective bargaining, thus paving the way for Mayor Turner and the firefighters to sit down and hash out an agreement on how to implement Prop B in a way that doesn’t kneecap the city financially. This is the firefighters’ preferred resolution. 2. The lawyers tell the city that Prop B does conflict with the state law on collective bargaining, and that the city would likely win a lawsuit because of that, or because of some other reason. You know what happens next in this case. 3. The lawyers tell the city that Prop B does conflict with the state law on collective bargaining, and that the city would likely lose a lawsuit. This way leads to budget cuts, layoffs, quite possibly litigation from one or more of several other groups – the firefighters, the police who are threatening their own legal action anyway, some other aggrieved citizens – and an unknown amount of chaos going into the 2019 election. At least it won’t be boring. Can we negotiate our way to a Prop B agreement? Mayor Sylvester Turner’s administration is moving forward with plans for hundreds of layoffs following last week’s voter approval of Prop B despite questions about whether jobs could be saved through renewed negotiations with the city’s firefighters union. Craig Deats, who works with police and fire labor groups and has worked for the Houston fire union in the past, said unions routinely use collective bargaining to supersede local rules, most commonly in the areas of hiring and promotional provisions. James M. Douglas, a professor at Texas Southern University’s Thurgood Marshall School of Law, said he believes it would be difficult for the mayor and firefighters to implement the proposition’s mandate through a collective bargaining contract because of the intent of the proposition. Some city leaders said they were frustrated by conflicting legal advice they had received from the city attorney’s office, and a lack of clarity over what the law allows or what Turner and firefighters would entertain if they returned to the negotiating table. Well, that would be one reason why some of us voted against Prop B. See here and here for some background. This is just going to have to be settled in the courts, and the city will take steps in that direction after Thanksgiving. You can feel however you want to feel about this, but we all saw it coming from the beginning. It’s still coming, just not, like, today. Mayor Sylvester Turner on Wednesday said he would delay a City Council vote to hire a law firm to represent the city in possible litigation over Proposition B, the ballot item passed by voters to grant Houston firefighters pay parity with police. City Council had been set to consider a contract with Norton Rose Fulbright for $1.3 million. The contract would set aside $250,000 for the firm to handle litigation over real estate purchases in connection with infrastructure projects, with the rest set aside for a court fight over the parity measure approved Tuesday. Meanwhile, Turner said he will look to Fire Chief Samuel Peña to restructure the fire department to absorb the measure’s additional cost, which both Turner and City Controller Chris Brown say will total more than $100 million in its first full year. Turner said Wednesday he does not know “how we’re going to pay for it,” but he made clear initial layoffs would come from the fire department. For months, Turner has warned that the city would need to make cuts if voters approved Proposition B. It passed with 59 percent of the vote. The measure would tie firefighters’ pay to that of police of corresponding rank and seniority. City Council, which is not meeting Thanksgiving week, agreed to bring the item up at its Nov. 28 meeting. The mayor said the fire department “restructuring” would include a reduction from four shifts to three, as well as other methods of reducing costs. See here (at the bottom) for the background. I suppose one possible path to brokering a peace treaty might include an agreement to get everyone possible on board for a push to repeal – not amend, repeal – the stupid revenue cap, which would at least prevent the city from losing revenue for no good reason. There can’t be a vote on that before May of 2021, however, so that may be too long-term for any benefit, but one way or another this needs to be tackled, and it’s in both sides’ best interests for it to go away. I’m just spitballing here. The smart money is still on a lawsuit being filed, and after that who knows. And that’s a wrap for interviews for 2018. To review all the ones I’ve done before, visit my 2018 Congressional, 2018 Legislative, 2018 Harris County, and 2018 Judicial pages. I missed the last twist in this saga, but in the end it did happen. After months of trading barbs from a distance, Mayor Sylvester Turner and the head of Houston’s firefighters’ union met in a vigorous but civil debate Saturday, displaying their fundamental differences over just about everything related to the November ballot referendum that would grant firefighters pay “parity” with police officers of corresponding rank and seniority. The dispute revolves around a divisive question: If the measure known as Proposition B passes, can the city afford it? If anything, the debate at St. John’s United Methodist Church between Turner and Houston Professional Fire Firefighters Association President Marty Lancton revealed how irreconcilable the opposing views on that question truly are. From Turner’s perspective, Houston firefighters deserve to receive better pay, but not to the extent that their raises “bankrupt the city,” as he claimed Proposition B would do by mandating 29 percent raises for firefighters, at a cost of than $100 million a year. What’s more, Turner said Saturday, the measure does not call for true “parity” because it mandates only equal pay, ignoring retirement benefits, training and education requirements — in practice granting firefighters better pay, Turner argued. To Lancton, the city has balanced its budget on the backs of firefighters to the point that the department’s rank-and-file members are struggling to make ends meet, with salaries far lower than those of firefighters in other Texas cities. It goes from there, and I don’t think there’s much that you haven’t seen if you’ve been following this. At last report, Lancton had pulled out of the debate because the firefighters didn’t want Lisa Falkenberg moderating (because they didn’t like the Chron’s editorial stance against Prop B) and had wanted to address the Democratic precinct chairs in an effort to get Prop B endorsed by the HCDP. Neither of these conditions changed – Falkenberg still moderated, and the HCDP precinct chairs are not getting together for an endorsement vote – so I don’t know what changed from the firefighters’ perspective. Be that as it may, I’m glad this happened – the voters deserved such an event. I wish I could have been there but I was out of town. If you attended or saw a stream of it, please leave a comment with your impressions. Let’s not get ready to rumble! Houston’s firefighters union has withdrawn from a Saturday debate with Mayor Sylvester Turner on their proposal to seek pay “parity” with police officers, saying the event’s host, the Harris County Democratic Party, had given the mayor too much control over the event. The hour-long event would have marked the first time the mayor and the union addressed the contentious issue on the same stage. Among the union’s complaints were that Houston Chronicle opinion editor Lisa Falkenberg was to serve as moderator (the editorial board expressed opposition to the parity proposal in July 2017), and that Democratic Party officials did not agree to let Lancton address precinct chairs or let them vote on whether to endorse the proposition. Alas. Here’s the earlier story announcing the event that was the original basis of this post. I am not able to be there for this not-a-forum, but perhaps you can be. County Democratic Party Chair Lillie Schechter said the party engaged in “extensive conversations” with both camps on the format of the discussion but respects the union’s decision to withdraw. The party’s leadership committee, after hearing from the fire union at a recent meeting, Schechter said, voted to schedule the debate to hear from both sides. She said the gathering was never envisioned as ending in a vote, saying such votes only occur at quarterly gatherings of all precinct chairs, the last of which was held Sept. 13. Yes, speaking as a precinct chair, that’s how our rules work. Precinct chairs vote to endorse or not endorse ballot measures like this at our quarterly meetings. We endorsed the flood bond referendum at the June meeting, for instance. There were members from the firefighters’ union at the September meeting, talking up their proposal, but no motion for an endorsement vote. Which I have to say would have been contentious, and because of that I’m glad it didn’t come up. I don’t know what may or may not have happened behind the scenes, but I do know they could have made a pretty big fuss about this at the meeting if they had wanted to. Personally, I think an event like this, aimed at the general public, rather than an agenda item for a normally dry meeting of precinct chairs, would be a much better way to allow both sides to air their views (I’m assuming that if Lancton had been given time to address us, then Mayor Turner or a representative from his office would have been given time as well). But hey, whatever. Perhaps the Mayor and Lisa Falkenberg can discuss the cost of this referendum. The cost of Houston firefighters’ push for pay parity with police of corresponding rank and seniority could be 14 percent cheaper than what Mayor Sylvester Turner’s administration has estimated, city Controller Chris Brown said Tuesday. Brown’s office estimates that the proposal, which will appear as Proposition B on the Nov. 6 ballot, will cost $85.2 million a year, lower than the $98.6 million figure Turner has used. Neither estimate includes the 7 percent raise police would receive over the next two years if the city council approves a new proposed contract this week. That would increase the cost if voters decide to link fire and police salaries. Houston Professional Fire Fighters Association President Marty Lancton viewed Brown’s analysis as vindication of his view that Turner’s estimate is inflated. “As the city controller proved today, the mayor’s Proposition B claims cannot be trusted. His math, like his judgment, is driven by an obsession with punishing Houston firefighters,” Lancton said. Brown and Turner’s estimates are nearly identical on the projected increase to firefighters’ base salaries and the associated increase in retirement benefits: that roughly 20 percent increase would cost about $65 million per year. The two estimates differ mostly on various incentives and allowances known as “special pays,” some of which firefighters receive now but which parity would increase, and some of which firefighters would receive for the first time if voters approve the measure. Not sure how a reduction in the cost estimate from $98 million to $85 million is a vindication of the firefighters’ case, especially when $85 million is still a pretty damn big number and Controller Brown calls it “unsustainable”, but maybe that’s just me. I continue to believe this thing is going to pass so I sure hope the cost estimates we are seeing are overblown, but all things being equal I’d rather not have to find out. Be that as it may, if you don’t know what to make of all this, go attend the not-a-forum and see what you think. What are ya gonna do? Houston Mayor Sylvester Turner is holding town halls to try to convince voters that the city can’t afford Proposition B, a ballot measure that would tie firefighters’ pay to that of police. It’s turning into an uphill fight. Mayor Turner argues that full pay parity would cost Houston nearly $300 million, at a time when the city is wrestling with chronic deficits. But Turner is having a hard time getting voters to see this as anything other than attacking the firefighters. “The default mode is not only to support equity pay but to support it by very big margins,” says Bob Stein, a political science professor at Rice University. I’ve already seen three pro-Prop B signs in my neighborhood. Mayor Turner has been busy holding town halls and writing op-eds, but beyond that I’ve not seen much of a campaign. So yeah, I expect this to pass, quite possibly by a lot. And I’d say Mayor Turner is making the same judgment. Mayor Sylvester Turner has instituted a hiring freeze across the city government’s roughly 21,400 positions, ordering department directors seeking exceptions to meet with him or his chief of staff in person. The directive, he wrote in a memo dated Friday, will be reviewed “at a later date this year.” Executive positions are exempt from the freeze, but those already require mayoral approval. Mayoral spokeswoman Mary Benton said the order was spurred by Proposition B on the Nov. 6 ballot. That measure would give firefighters the same pay as police officers of corresponding rank and seniority, costing the city an estimated $98 million annually. I mean, what did you expect? At this point I’d say the city’s best strategy is to find some plaintiffs for the ballot language lawsuit, and hope to get an injunction preventing it from being implemented while it gets hashed out in court. I wouldn’t bet my own money on that outcome either, but the odds have to be better than beating this thing at the ballot box. To be fair, this isn’t the first time we have heard this. Houston Fire Chief Sam Peña on Tuesday warned of dire consequences — including possible layoffs of more than 800 firefighters and deferred maintenance or upgrades on aging equipment, if voters approve the firefighters’ pay parity initiative on the November ballot. Peña’s warning came during a City Council Committee on Budget & Fiscal Affairs meeting to provide city leaders with their first look at how the Houston Fire Department might handle the costs of the ballot measure, which proposes to raise firefighter pay to that of their police peers. In its latest estimate, the Turner administration says approval of the referendum would cost the city $98 million in its first year and would lead to cuts at the fire department as well as in other city agencies. “A reduction of this size in personnel cannot be accomplished without a major restructuring of the current operations,” said Tantri Emo, director of the city’s finance department. Emo said the city’s $98 million estimate million came from comparing salaries of firefighters and police at similar ranks, and said the city did not yet have estimates that might factor in costs to the city’s pension system. Houston Professional Fire Fighters Association President Marty Lancton questioned the city’s calculation on how much pay parity would actually cost taxpayers. Lancton repeated past assertions that the city refused to negotiate or work with firefighters on issues ranging from pay to operations to equipment, but he did not provide the union’s cost estimates. Emphasis mine. We all agree that this referendum will cost the city some money if passed, right? I mean, there’d be literally no point for the HPFFA to push for it if it didn’t mean higher pay for their members. As such, the fact that the union has refused to provide their own number whenever the city has cited one is telling. Obviously, the firefighters are going to argue that the city is exaggerating the cost, and they’re very likely correct about that. But it’s one thing to say “oh, it will only cost $10-20 million”, which the city probably could afford with at most minimal cuts, and another entirely to say “oh, it will only cost $50-60 million”, which the city can’t do without real cuts and starts to sound pretty expensive besides. If the firefighters can’t or won’t provide their own estimate of how much this will cost the city – and let’s be real, they most certainly do have their own estimate – then the city’s number is the one we must accept. And that’s a number that will absolutely lead to job cuts, including among HFD’s ranks. Will this affect the outcome of the election? Maybe, if the city can get that message out. Holding a few town halls is nice and appreciated, but it’s not going to spread the message far and wide. Remember, nearly 400,000 ballots were cast in the city in 2010, with over 330K votes tallied in the Renew Houston and red light camera elections. You’re not going to reach that many people without significant outreach, and so far all I’ve seen is one pro-firefighter web ad. If there’s a campaign in the works, it’s going to need to get going soon. Mayor Turner urges all voters who live in the city to learn about the Rebuild Houston and fire pay referendum elections on the Nov. 6 ballot. Mayor Turner will make the same presentation at District E meetings hosted by Council Member Dave Martin from 6:30 to 8:30 p.m. Sorry about the late notice, but this just hit my inbox yesterday, though there was a press release for it last week. Note that the press release I linked to is incorrect about the start date for early voting. It begins October 22, which was correctly noted in the release I got in my mailbox. I’m very interested in seeing what kind of a campaign there is for and against this, but in the meantime there’s this. Probably doesn’t matter much at this point, but there it is. A Texas appeals court on Thursday ordered a state district judge to rescind his temporary restraining order requiring the city of Houston to remove video from its website that depicted a public city council committee hearing over a proposal to grant firefighters “pay parity” with police. District Judge Kyle Carter should not have blocked the city from posting the video of the committee hearing because it is not clear the meeting constituted illegal electioneering, as the Houston firefighters union had alleged, the 14th Court of Appeals justices ruled. That restraining order had expired last week anyway, said Cris Feldman, an attorney for the firefighters union, adding that the decision does not preclude a court from coming to the same conclusion that Carter did after further hearings in the case. The section of state law banning local governments from using public funds to advocate for or against ballot measures was not intended to restrain public discussion of such issues, the justices wrote Thursday. See here for the background, here for the Mayor’s statement, and here for a copy of the opinion. As noted, the TRO had expired on August 14, and the Chron posted their own copy of the video shortly after Judge Carter handed down his opinion, so this is all mostly academic. It may mean something after the election when the lawsuits over the wording of the referendum gets filed, but until then it’s mostly a warm-up exercise. it will be decided by the courts. Here’s a story out of Austin to illustrate. Former Travis County judge Bill Aleshire has sued the city of Austin in the Texas Supreme Court, challenging the ballot language of a proposition up for a local vote in November. The lawsuit filed Monday challenges ballot language related to Proposition K, which calls for an outside audit of government efficiency at City Hall. The Austin City Council approved the ballot wording last week. At that council meeting, some supporters of the proposition bristled at the language, which includes a cost estimate for the audit of between $1 million and $5 million. Proposition backers complain the inclusion of the cost estimate will bias voters against the measure because the wording does not mention any possible savings that could result from an audit. You can follow the links and read the writ, which is embedded in that Statesman. I don’t care about any of that. My point here is that while Council has voted to put the measure on the ballot, we don’t have ballot language yet. Does anyone think for even a minute that the language that Mayor Turner will provide and Council will approve will be satisfactory to all of the stakeholders in this fight? Does anyone think it is possible for this referendum to be a) simple enough for everyone to be clear on what they’re voting on, and b) thorough enough for it to adequately cover all the relevant details? These were the points of contention in the lawsuits over the term limits referendum, and the Renew Houston referendum. I’ve said this before and I’ll say it again: The losing side in this vote, whichever side it is, will file a lawsuit arguing that the ballot language was inadequate, inaccurate, unintelligible, whatever else. Given the lifespan of the Renew Houston battle – which as you know is still not over – we’ll be handing this fight off to the next Mayor, and that is very much assuming a second term for Mayor Turner. On top of all of the other reasons why this is a bad idea, this is why this is a bad idea.